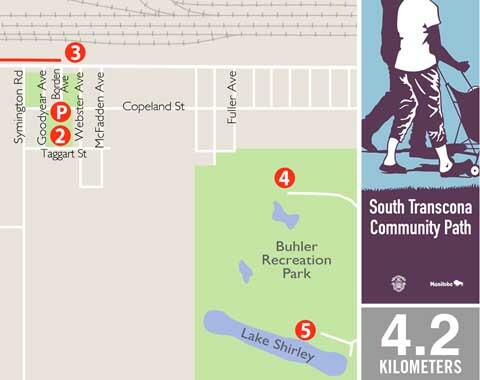 The South Transcona Community Path provides a fully separated walking and cycling path along Dugald Rd, a high-volume, high speed provincial highway. It runs from the intersection of Terracon Pl and Dugald Road out to the suburb of South Transcona. Residents of South Transcona used to walk through the CNR shops to get to downtown Transcona on a pathway known as ‘The Midway’. When CNR closed that pathway there was no safe way to walk or cycle between South Transcona and the rest of Transcona. This paved path has been constructed to provide a safe commuter path and is enjoyed best on a bike. 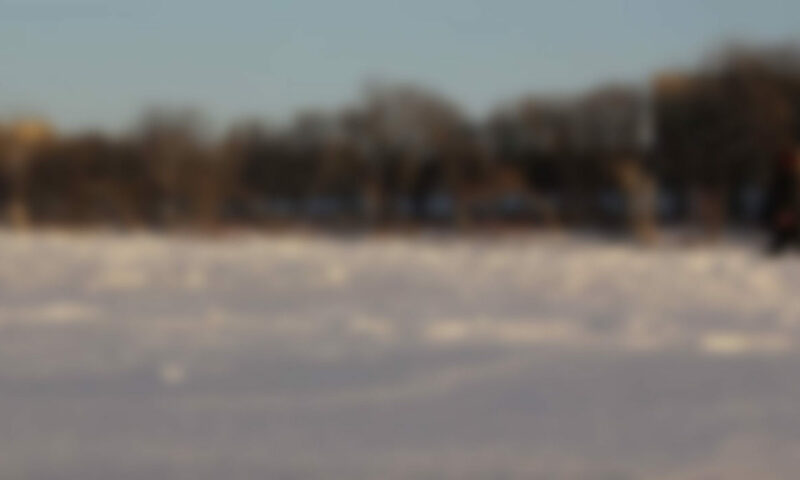 Mazenod off leash dog park – This unfenced, off-leash area is located in the St. Boniface Industrial Park and consists of the area surrounding the retention pond. 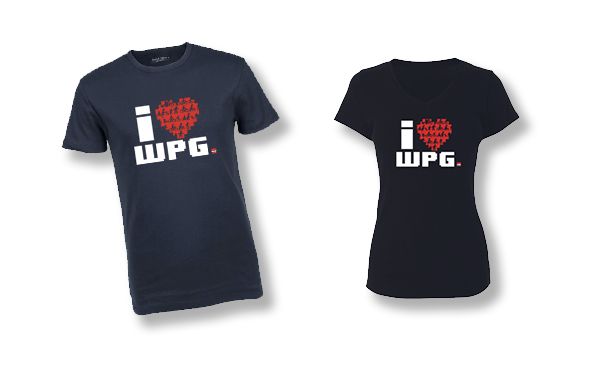 South Transcona – South Transcona has a gas station, restaurant and community club. It is a small suburb that looks and feels like a small town. 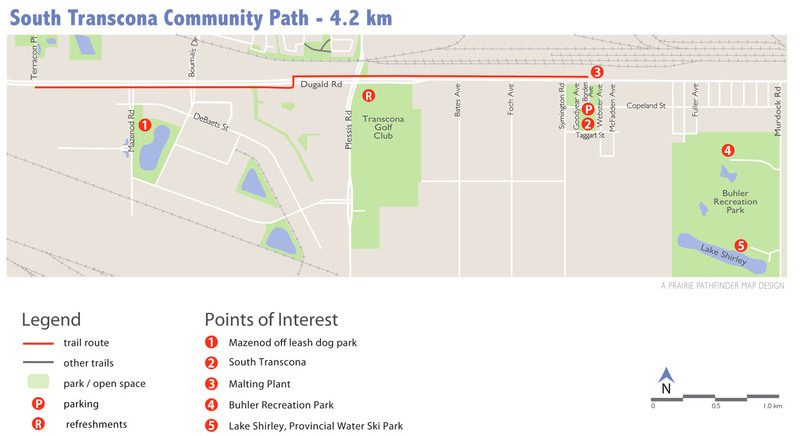 The South Transcona Community Path ends in South Transcona but you may continue cycling east approximately 2 kilometres to Murdoch Road. 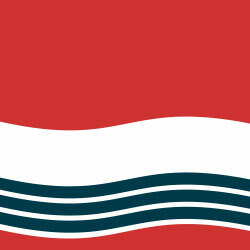 Turn south at Murdoch Road and cycle one kilometre to the Buhler Recreation Park. Malting Plant – Malteurop Malting is one of the largest barley and malting barley producers in the world with an annual production capacity of 90,000 tonnes of Pilsen malt, used by brewers as a base malt, particularly for lagers. Buhler Recreation Park – (135 Murdock Rd) has ball diamonds available for softball and baseball tournaments; and athletic fields for soccer, flag football, ultimate Frisbee and field lacrosse. It also has 5 km of fitness trails and a canteen that may be open on summer evenings. Lake Shirley Water Ski Park – this man-made lake built for the 1999 Pan American Games is used for water ski events as well as dragon boat races.